An industry first for Craft Hobby & Stitch! Warren Knight and CHSI join forces to launch ‘Think #Digital First’. 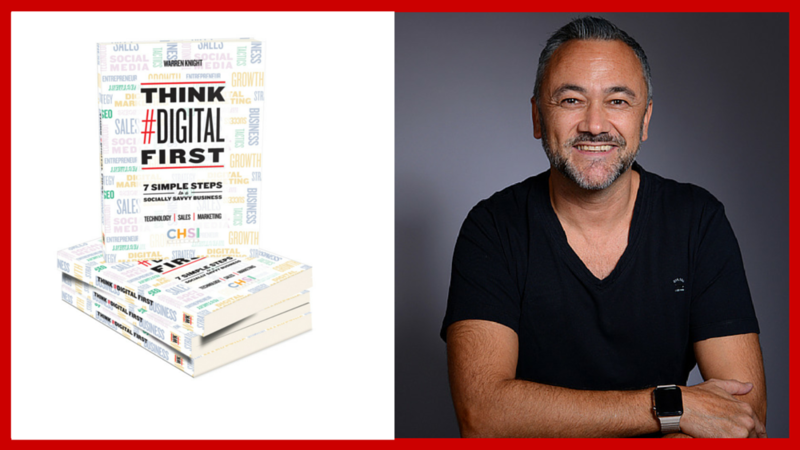 With a unique and limited edition design, Warrens book ‘Think #Digital First’ will be unveiled at CHSI, and will provide a step-by-step guide to building a socially savvy business! In simple steps that are easy to follow, packed full of great detail that demystifies the new digital age, this specially written book provides key take-aways to help retailers market their brand online, saving time and getting sales to grow their business. A limited amount of copies will be printed of this exclusive book and will be sold on a first come, first served basis. This keynote presentation will take you through the four simple steps to help you define your business online, understand the four different types of digital customers, create shareable content that builds a community, drive sales and how to structure your social media into a seven day plan for success, with an actionable checklist to help you stay consistent with your brand message.